Georgi Shishkov is a Bulgarian marine artist. 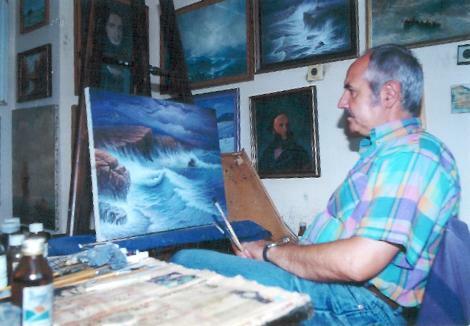 Since 1973 he has painted more than 700 artworks. Georgi Shishkov is a member of the Society of the artist in Kardzhali. His paintings challenges a great interest with their elegant and varied colour, fine technique and precision details. The artist uses canvas and oils. The usual dimensions of his paintings are between 45/50 cm. and 80/100 cm. Many of Georgi Shishkov`s artworks are owned of many collectors from Bulgaria, Spain, Germany, Netherlands, Belgium, France, Izrael, Turkey, Kuwait, USA, Canada. In recent years a large part in Georgi Shishkov`s creativity take the landscapes, the natural and historical sights. The ancient trakian city Perperikon is also a theme in his paintings. 1978 - Became a member of the Society of the Artists from Kardzhali. Since this year he has participated in all exhibitions conducted in Kardzhali and the area. 1979 - Participation in a General national art exhibition, Kardzhali. 1979 - The Bulgarian National Television has made a movie about the creativity of Georgi Shishkov.The movie is connected with the cultural life of Kardzhali and the area. 1986 - Participation in International planner, Vratsa. 1989, 1992, 1994, 1997 - Participation in the Nationa exhibitions of the teachers-artists, Veliko Tarnovo. 1993 - Participation in a General art exhibition of artists from Sofia and Kardzhali, Sofia. 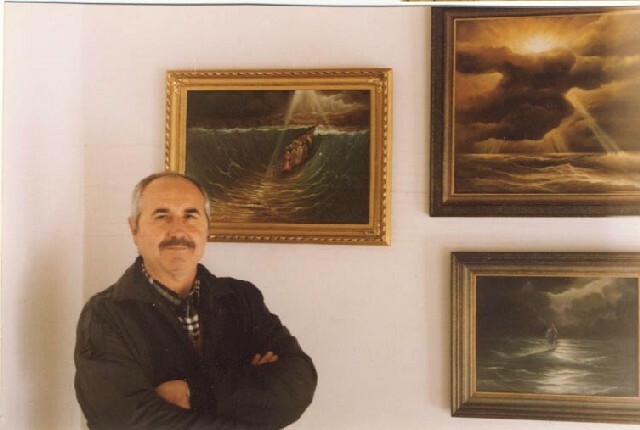 1996 - Participation in the National art exhibition "The Sea" in gallery "Vitosha", Sofia. Maximilian Kirov, the art director, estimated highly the paintings of Georgi Shishkov. 2000-2003 - Participation in Charity auctions, Kardzhali. 2002 - Participation in a General art exhibition of Society of the Artists from Kardzhali in fine arts gallery "Bovjel", Plovdiv. 2003 - One man show "Sea and Truth" in fine arts gallery "Bovjel", Plovdiv. 2003 - Participation in an International exhibition in Visegrad, Hungary. 2004 - The Evrokom TV broadcast "Faces of Bulgaria" presented a movie for Georgi Shishkov. 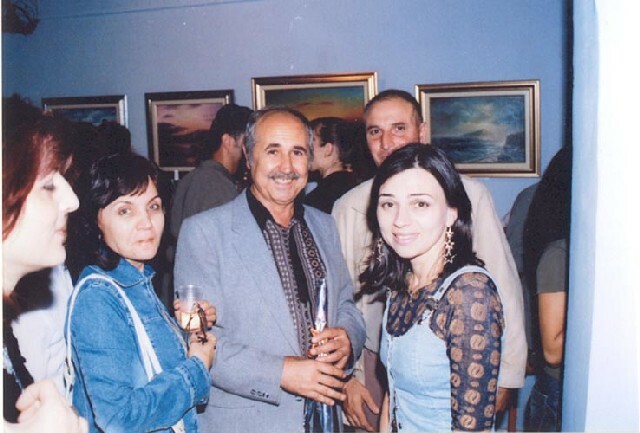 2005 - Participation in a Jointly exhibition of the Societies of the Artist from Kardzhali and Haskovo, Haskovo. 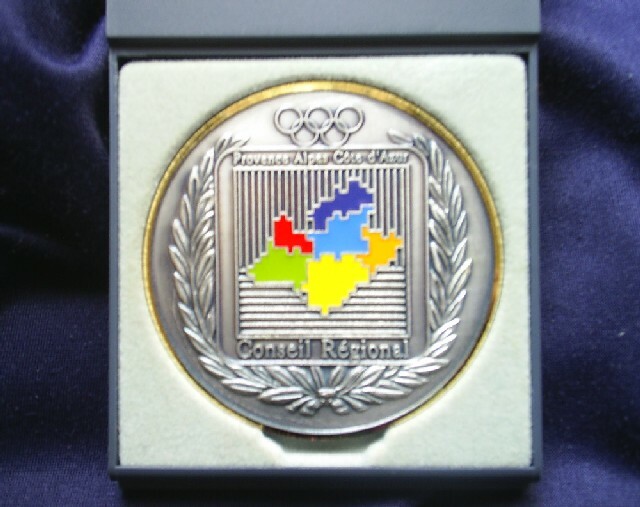 2006, September - Participation in regional planner, Zlatograd. 2006, October - Participation in regional planner, Momtchilgrad. 2006, November - Participation in regional planner, Kardzhali.